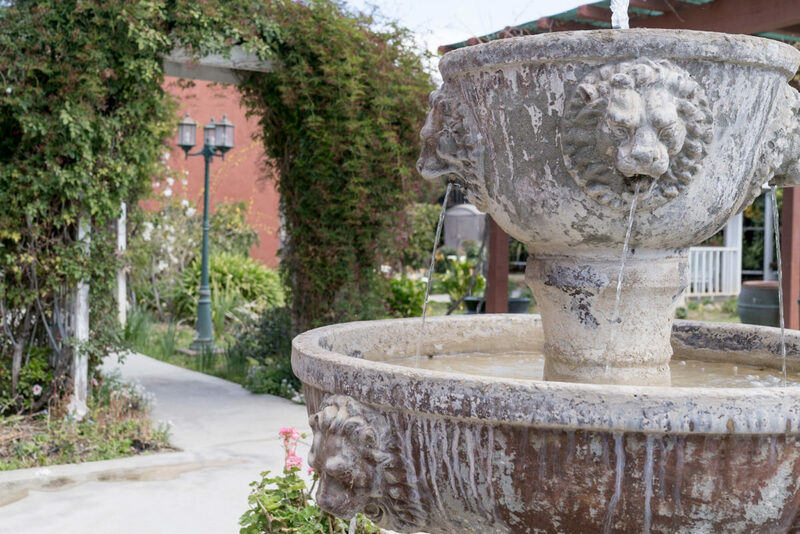 The Eden Valley difference begins outside where our landscaping crew prunes and trims to keep the outside as neat and eye‐pleasing as the inside. Eden Valley is immaculate and clean, the air is fresh, and will be one to be one of your favorite places to visit! In the spring, Rosie’s Garden is in full bloom; this then provides an excellent backdrop for a quiet stroll, visiting with loved ones, book reading, and relaxation. Rosie’s Garden is also used for physical therapy when appropriate to a patient’s needs and level of function. 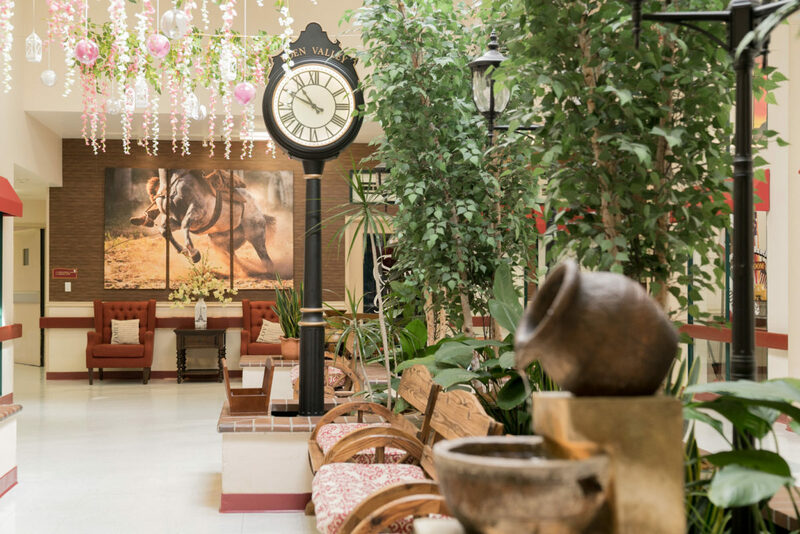 On sunny days, most of the building’s interior bathes in warm sunlight, creating an inviting and healing atmosphere suitable for small group socials or quiet meditation. 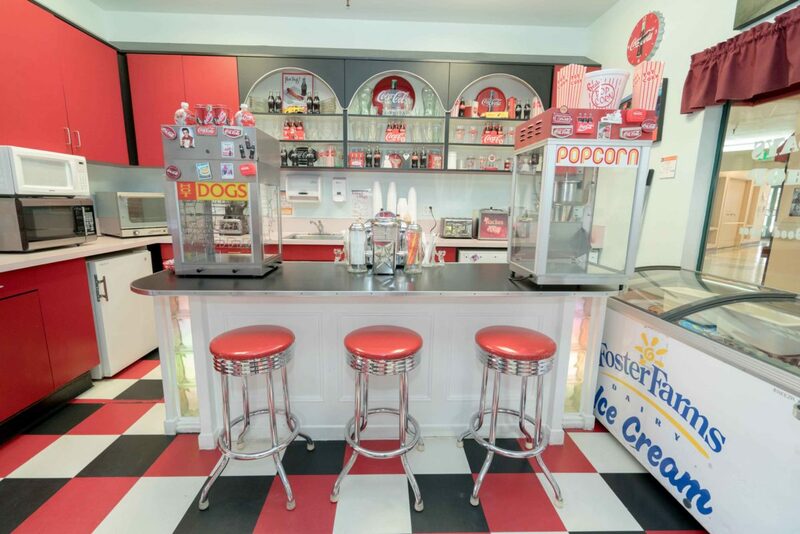 Our Happy Days Soda Shop sports a lively 50’s theme with indoor and outdoor seating. A favorite across all age groups, the Soda Shop offers a snack bar menu with delicious hot dogs, nachos, sodas, burgers, milkshakes, and even freshly‐popped, theater‐style popcorn.